Give your dog something good to chew on. 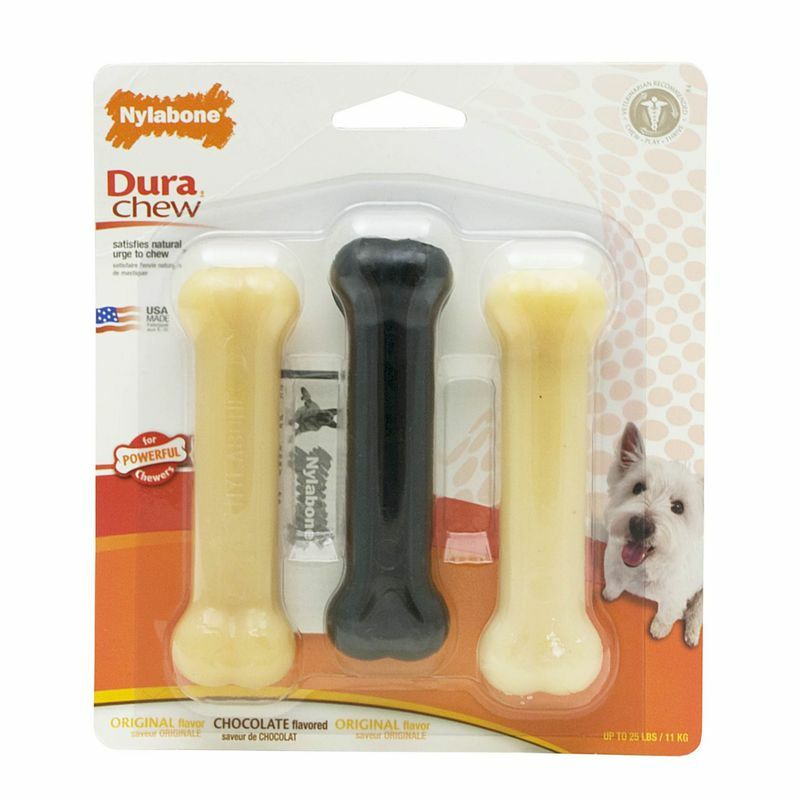 This Nylabone value pack includes two original-flavored DuraChew Bones and one nontoxic chocolate-flavored DuraChew Bone. 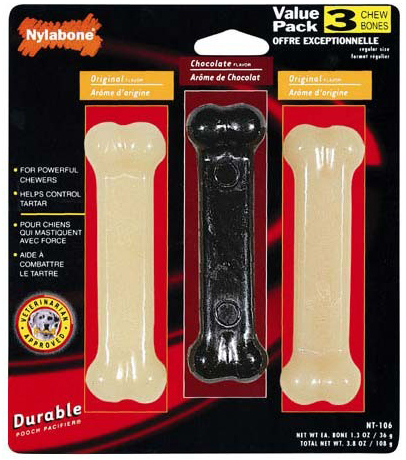 Made with tough, durable nylon, DuraChew Bones are designed for powerful chewers and encourage positive chewing habits. Plus, the bristles raised during chewing promote clean teeth and help control plaque and tartar buildup. These chews are made from durable nylon, and are especially designed for strong chewers. Dimensions: 4.5" x 1.5" x 1.5"
7.5" x 6.5" x 1"